The Coquitlam RCMP provides 24/7 response to calls and investigations as well as a wide range of crime prevention and community education initiatives to the citizens of Anmore, Belcarra, Coquitlam, Port Coquitlam, and the Kwikwetlem First Nation. Our team also serves the tens of thousands of people who travel to and through our jurisdiction every day for school, work, and recreation. 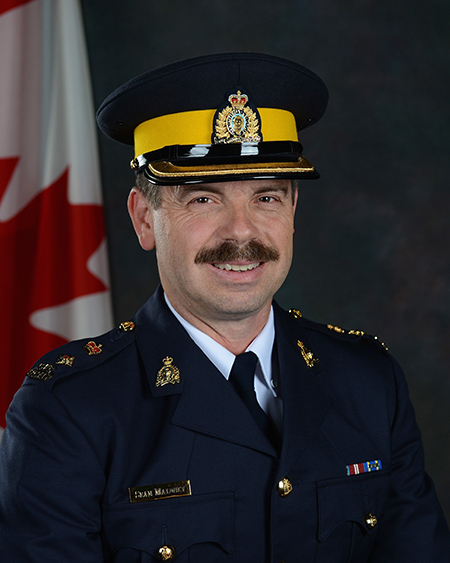 In 2017 the Coquitlam RCMP was made up of 236 sworn police officers, 103 full-time-equivalent municipal employees, and more than 400 volunteers all committed to delivering top quality policing and public safety services that help make the communities we serve safe, secure places to live, work, and play. 43% of the calls for service we received in 2017 required urgent or immediate response. Did you know? By saving the Coquitlam RCMP’s non-emergency number (604-945-1550) in your phone you can help keep 9-1-1 for emergencies. The non-emergency line is staffed 24 hours /day 365 days/year. Almost 2,600 false or abandoned 9-1-1 calls were handled in 2017. Did you know? Even if you accidentally dial 9-1-1 you should stay on the line to let the call taker know you’re safe. If you hang-up, the call-taker has to call you back to make sure you’re okay. If the call-taker can’t reach you, a police officer is dispatched to confirm your well-being. More 9-1-1 FAQs. In 2017, 604% of tickets were issued for speeding and distracted driving violations. Did you know? Impaired driving is 100% preventable, yet in BC, an average of 65 people die every year in crashes involving impaired driving. Don’t leave your safety to chance, always plan ahead for a safe way home. Over 30% of all founded Criminal Code incidents in 2016 were either break and enters or auto theft. Visit coquitlam.rcmp.ca and follow us on social media to find out what you can do to prevent these high volume property crimes from impacting your family and your neighbourhood. Did you know? The police enforce the Criminal Code of Canada, but we also enforce thousands of other statutes and bylaws—like the BC Motor Vehicle Act—that fall in to the category of non-Criminal Code . Coquitlam RCMP crime stats for 2017 show a drop in calls for service from the previous two years but police say more of the calls are urgent and require more policing resources, and some of the decrease can be attributed to how calls are filed now.